Chances are good that at some point, one or more of your teeth will suffer from decay or damage. When this happens to you, you can rest assured that Dr. Olsen offers everything you need to restore your dental health and smile confidently once again. 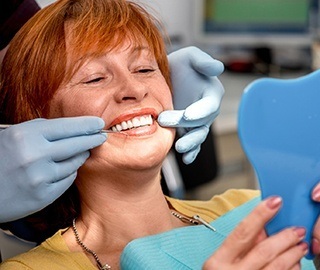 Our services in restorative dentistry include crowns, fillings, root canals and more. Dental crowns can help us fully restore even the most damaged or decayed teeth and save them from extraction. A crown simply fits on top of a tooth, and we can shape and shade it to completely blend in with your smile. 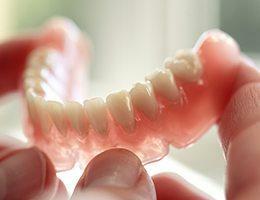 We can even use crowns to support prosthetic teeth to replace missing ones. Thanks to our technology and attention to detail, only you will know that you’ve had dental work done. 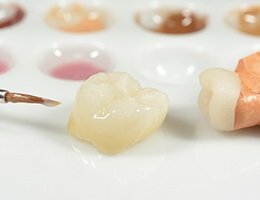 Tooth-colored fillings are made of a material called composite resin, and they have numerous advantages over traditional silver fillings. Firstly, as the name implies, they can be specially shaded to perfectly match a patient’s tooth color, making them practically invisible in the mouth. Also, the resin actually bonds to the enamel better than traditional fillings, allowing our team to preserve more of your tooth while repairing them. In the end, you get a tooth that both looks great and can be trusted to last. We like to use root canals to relieve the most severe dental pain and save severely damaged teeth from extraction. They are typically needed when the innermost layer of a tooth, called the pulp, has become infected. 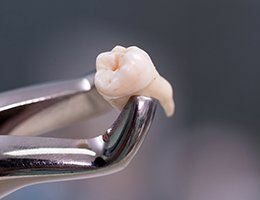 Dr. Olsen will simply remove the pulp, clean the tooth, fill it, and then fully restore it with a crown. 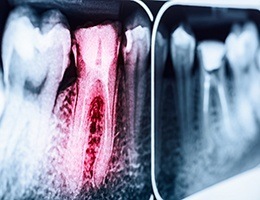 Thanks to modern techniques and sedation, this often feared procedure is now no more painful than getting a small filling. Should you ever need an extraction, Dr. Olsen will use his expert touch to ensure your comfort at all points during the procedure. If you are missing multiple teeth, then you’re very aware of the numerous problems they can cause for both your oral health and appearance, but thankfully, we can use dentures to solve all of them. 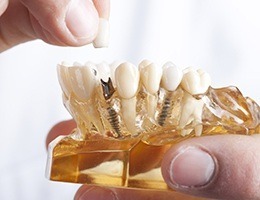 Partial dentures can replace multiple teeth while fitting in comfortably with the remaining ones, while a full denture can instantly restore an entire arch of teeth. No matter what you need, we can design a prosthetic that will help you reclaim your complete smile. If one or more of your teeth has gone missing, you know living with an incomplete smile isn’t easy. You can live fully once again by choosing to get a tooth replacement from Dr. James Olsen, who provides both dental implant placement and restoration in our Ann Arbor office. Dental implants provide by far the most lifelike replacement for missing teeth, as they give you back both the missing tooth and its root. That’s something other replacement options just don’t do. The total treatment time may take up to eight months to complete, but it’s truly the best investment you can make for your smile. 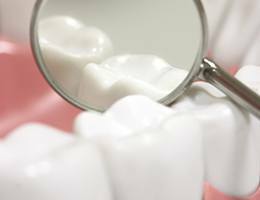 If you haven’t been to the dentist for a long time, or if you’ve just suffered a traumatic injury, then you likely have multiple dental problems that just one procedure can’t fully address. Dr. Olsen is capable of handling even the most complex dental cases, and he can do so with a full-mouth reconstruction. For this, he will formulate a customized treatment plan, combining different procedures to fully reform your smile and restore its complete health and appearance. With Dr. Olsen, it’s never too late for your smile.